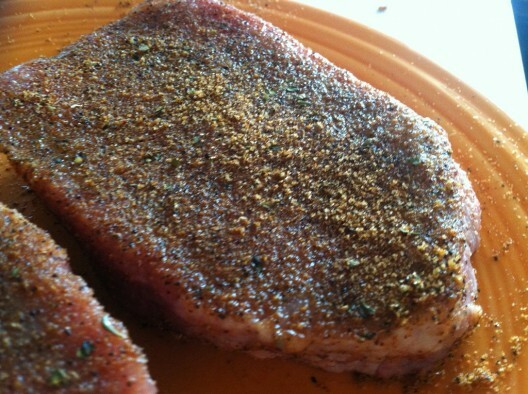 Today’s BBQ rub review comes to us from Western Kentucky — Draper’s BBQ Moo’d Enhancer Beef Rub. Moo’d Enhancer follows on the heels of the wildly successful Smokin’ Sauce and A.P. Rub. Draper’s BBQ is the culmination of three generations of pride and flavor. Based out of Western Kentucky, Draper’s BBQ has prided itself on balance of flavors. This balancing act has resounded well with very favorable reviews around the Internet. History on how Draper’s BBQ came to be can be found on the About Page for Draper’s BBQ. 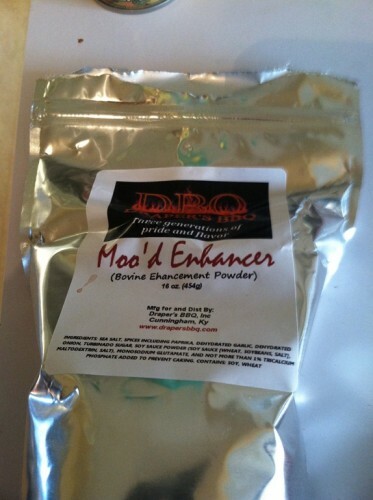 When contacted to review Moo’d Enhancer, Shane asked that I put it through its paces. So I did. The first two tests I did were with smaller cuts of meat — sirloin steaks and hamburgers. 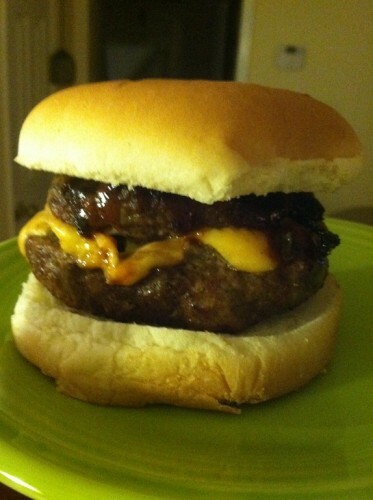 Moo’d Enhancer really made the steaks and burgers pop with an added flavor explosion! 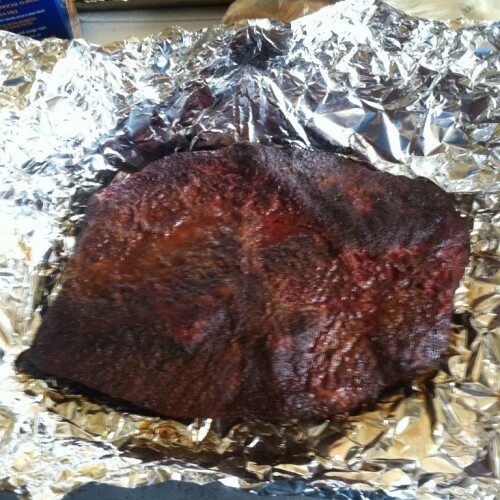 The final test was on a larger cut of meat — beef brisket. My previous experience with cooking brisket was less than desirable, and I hoped that this time around would fare much better. 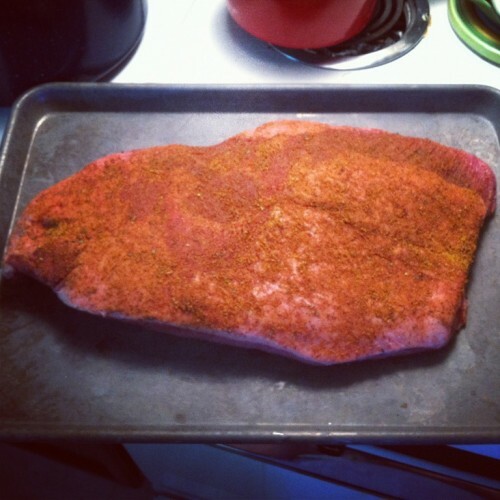 Both sides of the 5.25 lb brisket got a generous seasoning of Moo’d Enhancer — approximately 1/3 cup of the seasoning. 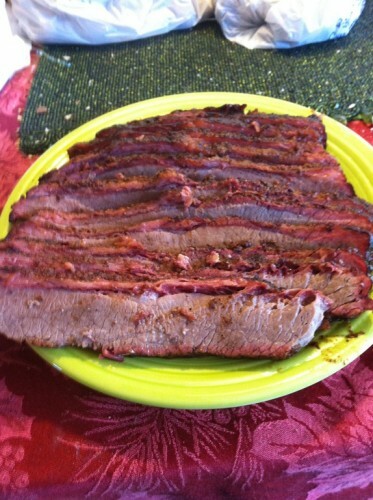 The brisket cooked at between 250 and 275 degrees using a combination of oak and cherry. Both my wife and I sampled the brisket. 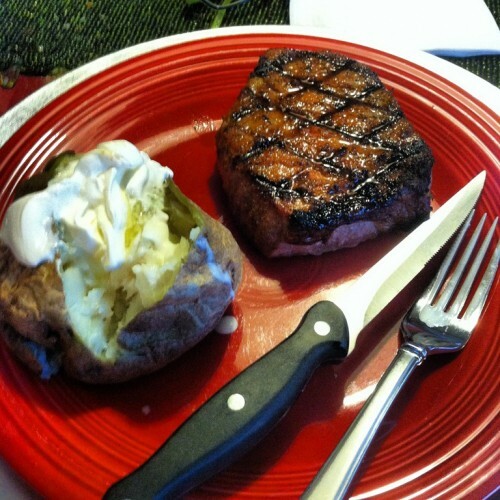 I absolutely loved the flavor that Moo’d Enhancer gave to the meat. However, my wife was not as much of a fan. My verdict: buy if you are a fan of big bold flavors (like I am)! Sounds tasty… I am jealous of your grill marks. Thanks! It gave the steaks a good color and a great flavor! Worth the purchase. That steak and brisket look amazing! 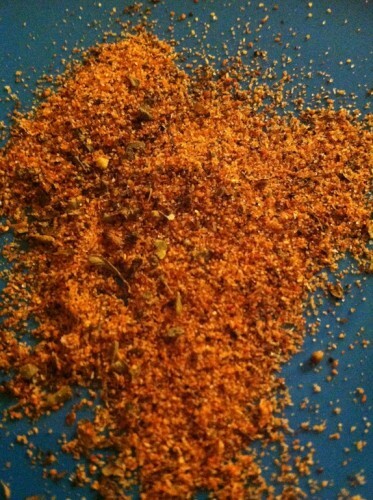 I so can’t wait to try Shane’s new rub after reading all the great reviews that have been done on it. Another great rub review Wayne! Always enjoy reading your reviews! Keep up the great work bro! I have to say I am a big fan of the name,,,, Mooood enhancer too funny!